Tweaked Automotive, a company offering bespoke vehicle conversion packages and customisation, currently offers a special edition release, the SPECTRE Edition Land Rover Defender. 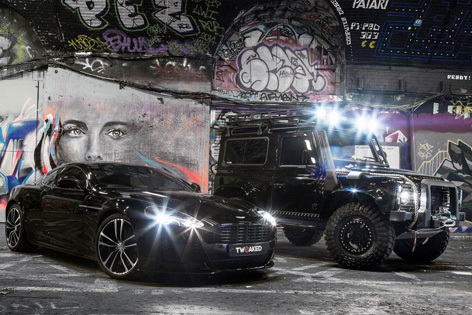 This fully customised Defender is a replica of the car seen in SPECTRE, driven by villain Hinx. 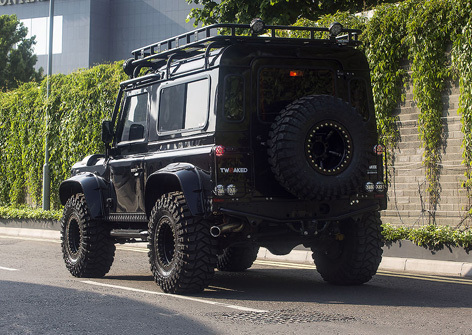 For the James Bond movie SPECTRE (2015) Land Rover created the Defender Big Foot. 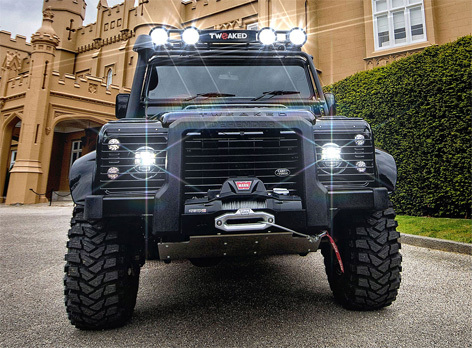 Based on the Defender 110, the car was heavily modified by Land Rover's Special Vehicle Operations (SVO) department. The Big Foot is fitted with several foul weather and terrain modifications including bespoke suspension systems and enhanced body protection. 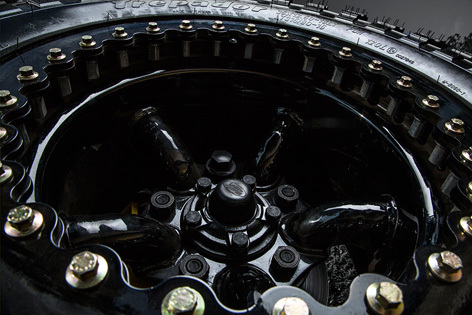 The movie car was named 'Big Foot' due to its massive 37-inch off-road tyres. The car had a prominent role in the film during the chase through the Austrian mountains. The scenes involve SPECTRE henchmen kidnapping Madeleine Swann in a Range Rover Sport SVR and two Land Rover Big Foots, while James Bond is in pursuit in a Britten-Norman BN-2 Defender airplane. Skip to 2016, when Tweaked Automotive decided to honour the Land Rover Defender with a special edition based on the car seen in SPECTRE. In 2015, Land Rover ceased the production of the much loved Defender model, that has been around since 1948. For the James Bond movie SPECTRE (2015) big screen movie was on release featuring SVO’s designed 110 DCPU Defenders with their most purposeful stand featuring top spec components only seen on few off road rigs. 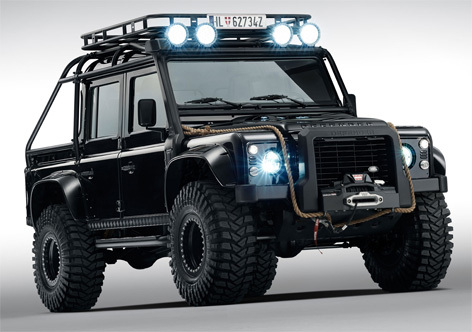 This was enough to light the spark leading to the decision to proceed on a concept for a never done before 90 chassis Defender to be based on the Land Rover seen in the Spectre film. Making this a world first taking people by surprise going by the positive comments received after the teasers and launch video. The external parts were true to the ones used by SVO on the original design. Tweaked Automotive worked very hard to ensure this build was authentic as possible and utilised the highest quality components available. 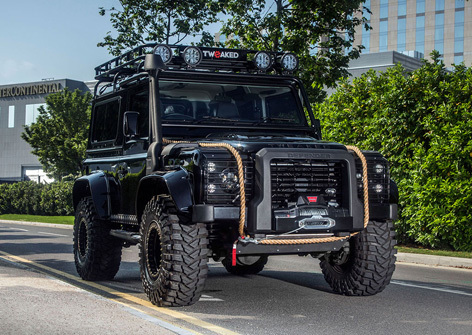 Tweaked Automotive carried out a large amount of custom work and fabrication which was required to ensure certain components fitted together correctly and functioned; such as the roll cage and fixed snorkel. The bumper was custom made to mimic the bumper used in the film with the raised sides and a few more details required custom work. On this build Tweaked Automotive gave the Defender 90 a two-inch lift and opted for the 35 inch Maxxis tyres rather than the 37’s used on the film car that are more suited to the 110 body. A full suspension overhaul with uprated springs/shocks, replacement heavy duty radius arms, adjustable panhard rods, heavy duty steering arms, uprated steering damper and a full upgrade to poly bushes were carried out to ensure the drive and handling matched the exterior and performance upgrades. In hand with that the engine is given a stage three tune ECU, air filter, exhaust system and intercooler boosting the power to around 185-190 BHP and raising torque levels to around 490 NM. Tweaked Automotive uplift the complete interior with their supportive leather bucket seats, leather interior upgrade, a more compact leather steering wheel, satellite navigation with full 6-view front and rear cameras and a few other unique touches, such as a built-in torch in the dash and a starter button and engine cut-out switches. This project and build took around eight weeks of research, design and the gathering of parts, fabrication and fitment of the vast number of components required for this build. 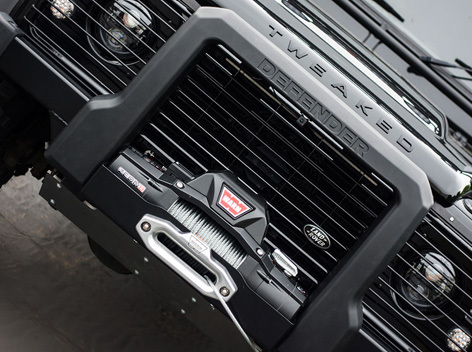 Available as either a 90 or 110, Tweaked Automotive can build this edition to a Defender supplied from stock or to a customers existing Defender or to a specific Defender sourced for the customer. 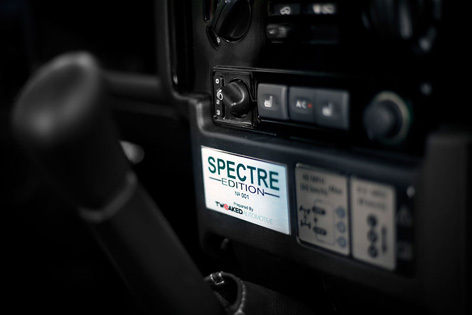 All the Tweaked Automotive Spectre Edition Defenders are supplied with a comprehensive build book, a numbered interior plaque and unique exterior plaque.